Powerful scenes emerged last night in the Seddon building, UQ's equivalent of the Shrieking Shack. The Seddon was long held to be haunted, braved only by UQ College and a little bit of the Psychology department. But last night, students Parry Hotter, Germione Hanger and Won Reasley snuck in to discover an amazing secret. Patrick Parkinson is an Animagus. That's right, we are not kidding you all. This is not fake news. Long thought to be dead after disappearing from the public shortly after being elected Dean, the only trace of Patrick Parkinson was a fish finger left in his office after Open Day. But Professor and Lecturer of LAWS4560: Statutory Defences Against The Dark Arts, Remis Lupin, discovered using UQ's St Lucia Map App that Patrick Parkinson was alive all along. Associate Professor Dr Sirius Black revealed that Patrick Parkinson was "Is this room... right... there!" pointing to Won Reasley's shoulder. "Not you - the Boost Juice!" As it turned out, like most locations in St Lucia, there was in fact a Boost Juice lying on the floor. After a brief scuffle, Patrick Parkinson was unveiled. 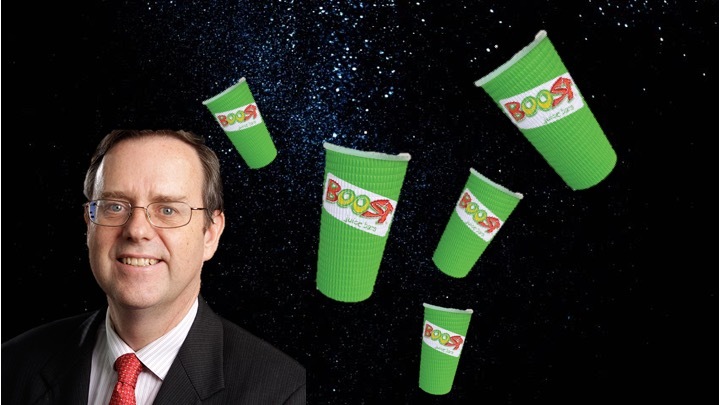 He revealed he had used his Boost Juice disguise to eavesdrop on conversations about the future of Law at UQ. Damn. Huge news, and a rough start for Semester Two. Rest assured, The Obiter will continue to dive deep into uncovering all the unregistered animagi. And as for the Seddon? The dementors can have it.